Plato wanted no poets in his republic, because writers, like artists and Arc Benders, are by definition question-askers, disturbers of peace, and truth-tellers. This is the domain of Arc-Bending Artists- To ask questions, truth-tell, internet-yell and disrupt space of oppressive systems through art, writing, dance occupation, embodied action, self-care, and radical dialogue. Needs to be disrupted, questioned and brought to an end, contending that writers (and I would add Arc Benders) are uniquely situated to do just that. 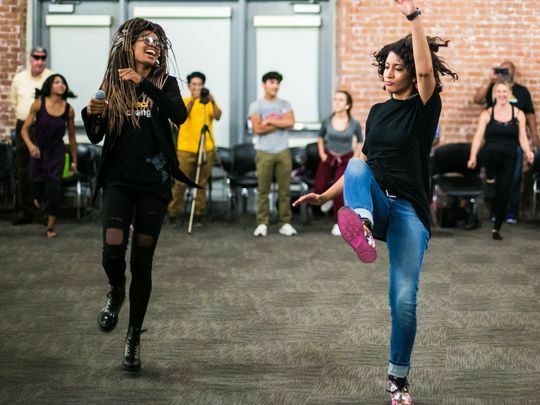 People like Shamell Bell, mother, artist, activist and arts + culture liason to the Black Lives Matter movement, uses street dance activism to fuel and nourish communities and movements to affirm Black Life. If you are reading this, you are likely an Arc Bender, who, like James Baldwin or Shamell Bell, speaks truth to power in life affirming ways. You not only have the vision. You are doing the work, disrupting space- sonically, viscerally, conceptually, and creating change. You are leading culture-making in your communities. You raise critically conscious children + communities. The vision is not an abstract. The need is not philosophical. It is one of visceral and material importance. It is especially critical to the bodies and mental well-beings of people of color, immigrants, women, especially hijab wearing sisters, and LGBTQ people. Raising critical consciousness and building an analysis is foundational to equity + justice. No one is free until we are all free, as Dr. Martin Luther King Jr. asserted. So, Arc Benders, let’s get to work. What talent or resource can I use to support the movement/vision for change? How can I contribute my talents to this vision/movement today? And then develop your vision and talents to create INFRASTRUCTURES OF SHINE to support you and get your work into the world in a bigger way.